and purpose of the content. Don’t you just love eMagazines like National Geographic, Wired, and Time? 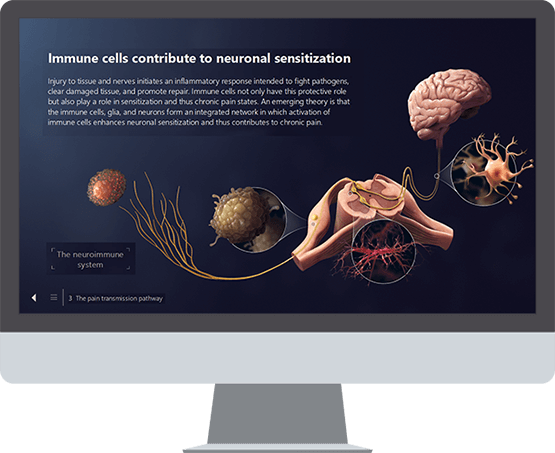 They combine interesting texts with fascinating images and often add interactive elements such as videos, animations, audio, and quizzes. Various entry points for reading and discovering are appealing and make going through the material a fun experience. Shouldn‘t eLearning work that way, too? We think so! That’s why we recommend eLearning courses that deliver exactly the learning outcomes that managers expect from their team: high levels of learner engagement, high completion rates, a clearer understanding of science through strong visual components, and, finally, each employee’s best possible performance. A high-quality eLearning tool draws the user in and cements their relationship with your product and company; it doesn’t just deliver the facts, it promotes a connection between the employee and the brand. When a large amount of information has to be communicated, like during onboarding, learners often need to sit in front of their workstation computer or laptop for extended sessions. 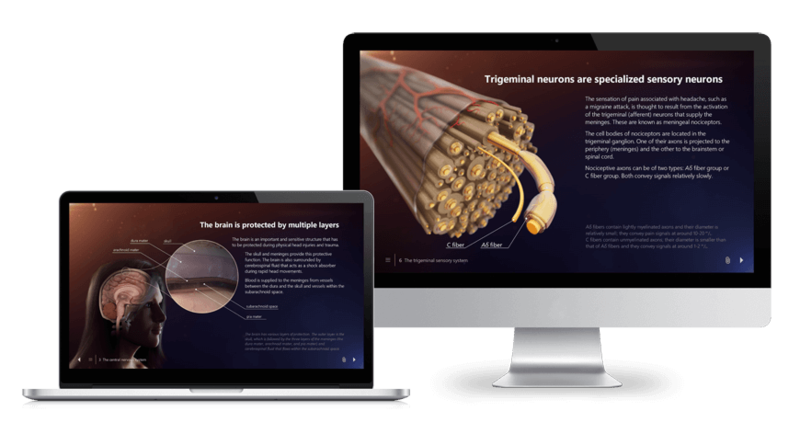 To maintain the learner’s interest in the material, we create eLearning courses that have a high level of interactivity and innovative editorial design. 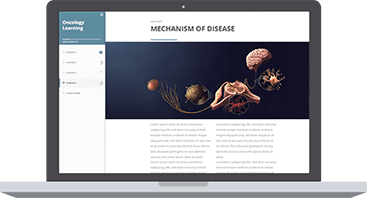 We will be releasing a demo module shortly that can be downloaded and tested in your LMS, or accessed online. Press the ‘Download Demo’ button to be notified as soon as this module is available. 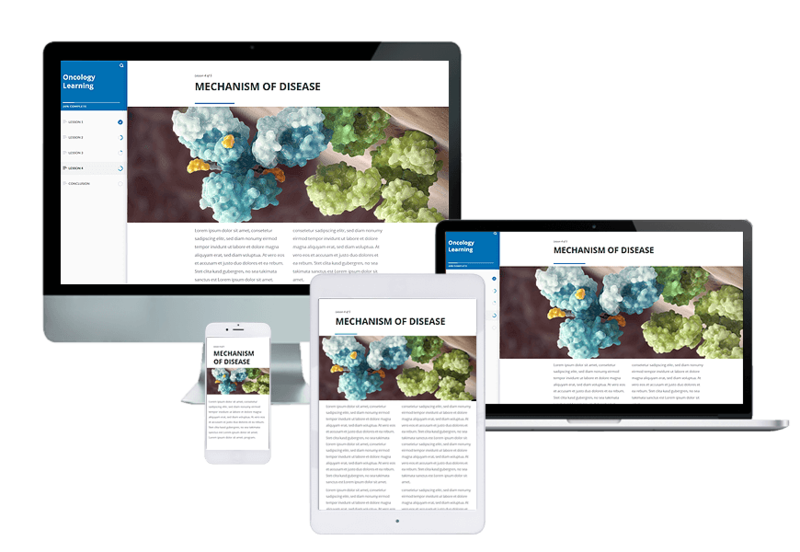 For short and frequently changing learning content, such as new study data or information about a changing competitive environment, we recommend eLearning courses that can be created and updated quickly and used on the go with a variety of mobile devices. 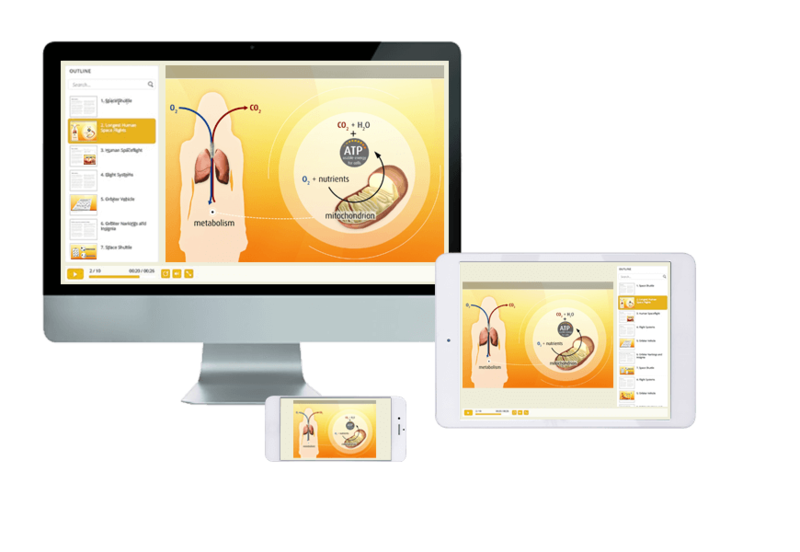 If good PowerPoint presentations or slide decks already exist in your company, they can be further developed into an eLearning tool that might offer fewer interactive possibilities but can quickly be made operational and, of course, be integrated into any LMS environment. When you start thinking about initiating an eLearning project, you ask yourself a lot of questions in order to get the best possible result. These questions include whether eLearning works in your existing LMS, whether it should run in a workspace environment or on mobile devices, how easily can it be translated into other languages, how referencing is implemented, and, most importantly, how the content can be approved in your company. 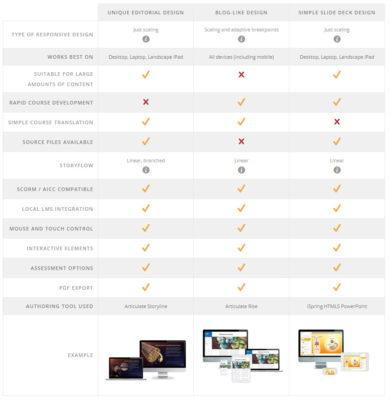 Look at the following table to get a rough idea of the solution that would best suit your needs.